HONOLULU, Hawaii, U.S., May 22 2014 (IPS) - The International Union for the Conservation of Nature (IUCN) Council announced Wednesday that the 2016 World Conservation Congress (WCC) will meet in Hawaii – the first time in its 66-year history that the world’s largest conservation conference will be hosted by the United States. Hawaii, which was selected over eight candidates, including finalist Istanbul, will host between 8,000 and 10,000 delegates representing 160 nations. The 2016 WCC, the IUCN’s 24th Congress since 1948, draws a diverse mix of scientists, politicians, policy makers, educators, non-governmental organisations, business interests, environment and climate experts, and indigenous organisations for ten days of meetings, discussions and debates on environmental and development issues and policies. Sometimes referred to as “the Olympics of conservation,” the WCC will convene at the Hawaii Convention Center in Honolulu on the island of Oahu from Sept. 1 to 10, 2016. In a press release, the IUCN noted that the United States has 85 IUCN member organisations (eight of which are in Hawaii), the largest number of any single country. It added that the 2016 Congress will coincide with the United States National Park Service’s 100th anniversary. For the WCC, the U.S. State Department will be required to issue an unprecedented number of visas to delegates from dozens of countries, some of which may have strained political relations with the United States. Hosting the world’s largest conservation conference, one that is increasingly a forum for addressing climate change issues, also puts additional focus on the United States’ own efforts to combat issues like climate change, habitat loss and wildlife conservation. The Hawaiian Islands are a volcanic archipelago comprised of more than 130 islands, reefs, shoals and atolls. The eight high inhabited islands include a diverse range of ecosystems and microclimates ranging from coastal plains to lowland dry forest, dense wet forests, barren volcanic fields, high elevation swamps and the (seasonally snow-capped) Maua Kea volcano. Hawaii is home to Hawaii Volcano National Park, over 50 state parks and Papahanaumokuakea Marine National Monument, the largest single conservation area in the United States. The vast marine conservation area, larger than all U.S. national parks combined, extends over 1,200 nautical miles northwest of the main Hawaiian islands into the Central Pacific. Climate change issues in Hawaii include: ocean acidification, coral bleaching, changing wind and rainfall patterns that are linked to persistent periods of drought, extreme rain events and sea level rise. Hawaii, the only U.S. island state, over 2,300 miles west of the continental United States, is heavily reliant on imported manufactured goods, materials and oil. Over the last decade, Hawaii has made strident efforts to advance local sustainable agriculture and alternative energy from wind, solar and other alternative energy sources. In an eleventh-hour appeal, President Barack Obama expressed his “strong support” in a personal letter to IUCN Director General Julia Marton-Lefèvre. “Hawaii is one of the most culturally and ecologically rich areas in the United States, with a wealth of unique natural resources and distinctive traditional culture…” wrote Obama, who was born in Hawaii. Chipper Wichman, co-chair of Hawaii’s 2016 steering committee, was part of a multi-year effort to draw attention to the Hawaiian islands as a potential host. Wichman, who is also the director and CEO of the non-profit National Tropical Botanical Garden (NTBG) on Kauai island, stressed that the conference would afford Hawaii the opportunity to increase understanding and awareness of the role islands play in conservation and battling climate change. “Hawaii is recognised globally for the unique species that are found here and nowhere else on earth. We’re also known as one of the ‘extinction capitals’ and a hotspot of biodiversity,” Wichman added. The conference, he said, would allow Hawaii the chance to discuss and share its multi-organisational approaches to stem the loss of biodiversity and critical habitat. Wichman said Hawaii’s efforts to preserve traditional cultural resources and indigenous knowledge and its science-based conservation can inspire the world. 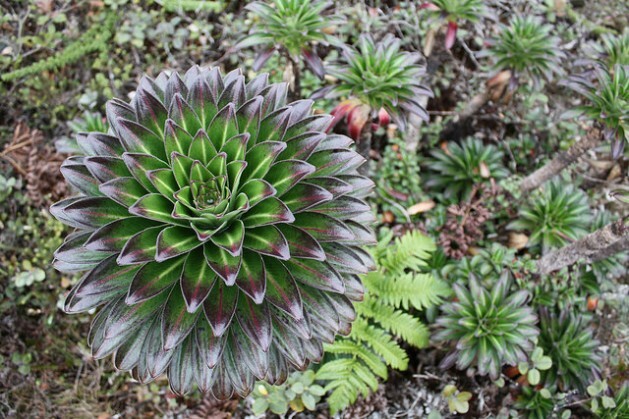 Proponents of Hawaii’s bid to host the WCC point out that geographic isolation resulted in Hawaii’s extremely high rate of endemism (species found only in a specific geographic area). Roughly 90 percent of Hawaii’s native plants are found no place outside of the islands. Numbers are similar for its small and declining native bird and insect populations. Many of Hawaii’s native plants and animals are single-island endemics, often found only in a single valley or mountain. Hawaii is known to have lost an estimated 115 native plant species, with approximately 1,230 remaining. Currently, around 57 percent of Hawaii’s native plants – nearly 700 species – face some type of risk. According to the IUCN’s Red List of Threatened Species, nearly 17,000 plant and animal species are known to be threatened with extinction – a number the IUCN admits may be a “gross underestimate.” Current extinction rates could be 10,000 times higher than historical expected rates. Discussions, debates and voting on multi-organisational conservation strategies are a major component of the WCC. The outcome of the talks has broad implications that affect the social, political and economic activities of nations around the world. Following the last World Conservation Congress on Jeju island, South Korea in 2012, the IUCN published a 251-page document of Resolutions and Recommendations. Dunn, formerly of the University of Hawaii’s Lyon Arboretum and Botanical Garden, said Hawaii’s own “cultural layer of traditional knowledge, and [its employment] to meet major and potentially devastating environmental issues” helped bolster Hawaii’s case for hosting the WCC. Announcing Hawaii’s successful bid at a press conference in Honolulu, Gov. Abercrombie noted that the state had received unanimous votes by the IUCN council. He stressed the significance of Hawaii’s inter and intra-organisational cooperation and grassroots efforts that spanned the islands and extended to partners in Washington, DC. Standing alongside the governor, Hawaii’s Department of Land and Natural Resources chairperson William Aila cited ‘The Rain Follows the Forest’ watershed initiative and ‘Green Growth Initiative’ as two examples of how Hawaii can help share potential solutions to loss of biodiversity, climate change and energy challenges. As a former member of the IUCN Education Commission, I hope that there will be a resolution addressing the impact, on biodiversity, of genetically engineered food and crops, and how GMOS violate the precautionary principle as expressed in the Convention on Biological Diversity .